Goyal Orchid Heaven is a residential development project by Goyal and Co. The architecture of this project creatively blends contemporary style with the combination of luxurious lifestyle amenities making this an ideal dwelling for its residents. The project offers spacious and well-designed 3BHK apartments and 4BHK penthouses. The apartments offer best in space, comfort and quality in living. What is the project location?The project is located at South Bopal, SG Highway & Surroundings. What size of flats are available in Orchid Heaven? 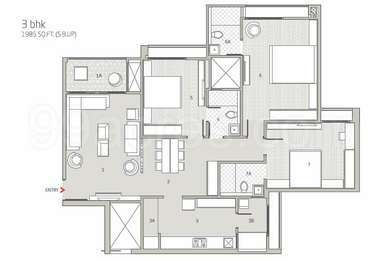 The apartment sizes in the project vary from 1725.0 sqft to 3030.0 sqft. What is size of 3 bhk in Orchid Heaven? 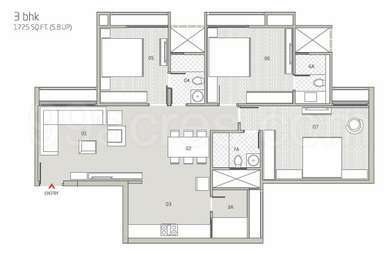 The area of 3 BHK apartments ranges from 1725.0 sqft to 1985.0 sqft. What is size of 4 bhk in Orchid Heaven? 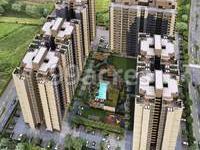 The area of 4 BHK apartments is 3030.0 sqft. How much is the total size of Orchid Heaven?The project is spread over an area of 4.48 Acres. How much is price of 3bhk in Orchid Heaven? The price of 3 BHK units in the project ranges from Rs. 5520000 to Rs. 6749000.
money. Having successfully launched and completed over hundreds of projects, the company specializes in apartments, villas, plotted developments, corporate offices, townships etc. Their past projects include Royal Orchids in Ahmedabad, Green Woods in Mumbai, Green County in Ahmedabad etc.